The University is pleased to announce that Professor Simon Swain has been appointed by the University’s Council to the role of Pro-Vice-Chancellor (for Arts and Social Sciences). He will take up the role at the start of April. 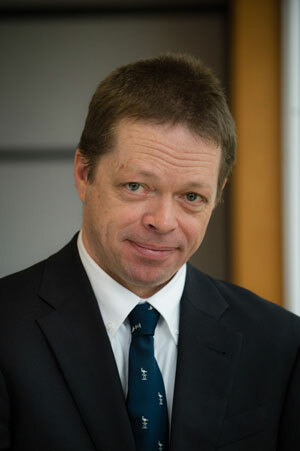 Professor Swain has served as Chair of the Faculty of Arts at Warwick since 2011. He previously served as Deputy Chair of the faculty, and acted for many years as Chair of the Department of Classics and Ancient History. He graduated with a BA in Literae Humaniores from Oxford in 1984 followed by a DPhil from Oxford in 1987. Following a Postdoctoral Fellowship at All Souls College Oxford he moved to become a Warwick Research Fellow in 1995. He was appointed to a Senior Lectureship at Warwick in 1997 and became a Professor of Classics at Warwick in 2000. He remained a fellow of All Souls till 2010. Nationally Professor Swain has frequently served on or chaired research funding panels at AHRC and the Welcome Trust. His research focuses on the social and intercultural history of the Greek East in the Roman period and after, and the reception and development of Greek thought in the Islamic Middle Ages. He was one of the first to study bilingualism in the Roman world and has pioneered new developments in the field of Greco-Arabic by exploring pathways of transmission in economic and family thought, in medical and political theory and practice, and in the pseudo-sciences. His work has been recognised by a personal Leverhulme Major Research Fellowship, a Wellcome Senior Investigator Award, and by extensive project funding from major funders (AHRC, EU, Leverhulme, and Wellcome). Read more on the Pro-Vice Chancellor roles.